That’s definitely a combo no one’s ever tried before, though we may soon find out that there might have been a reason for that. Anyway, you can’t say Amazon isn’t trying to come up with new product categories. The strangeness surrounding the Amazon Echo continues with the fact that you can’t buy one unless you have an invite. Yes, Amazon looked at OnePlus’ sales strategy and thought “that’s inspiring”. Whether this will work towards building hype (like OnePlus hoped) or if it will end up just frustrating prospective buyers remains to be seen. If you do get an invite to buy one, the Amazon Echo will cost you $99 if you’re a Prime member (though this is a limited time offer), or $199 otherwise. The device is voice controlled, employing a voice recognition engine that features seven microphones, which means it can apparently hear and understand you wherever you may be in the room. And with “enhanced noise cancellation”, it can hear you talking to it even while it’s playing music. It answers questions, reads news to you, gives you the weather forecast, acts as an alarm clock, plays music when you ask it to, helps you create or edit shopping lists and to-dos. It learns and adapts to your speech patterns, vocabulary, and preferences, the more you use it. 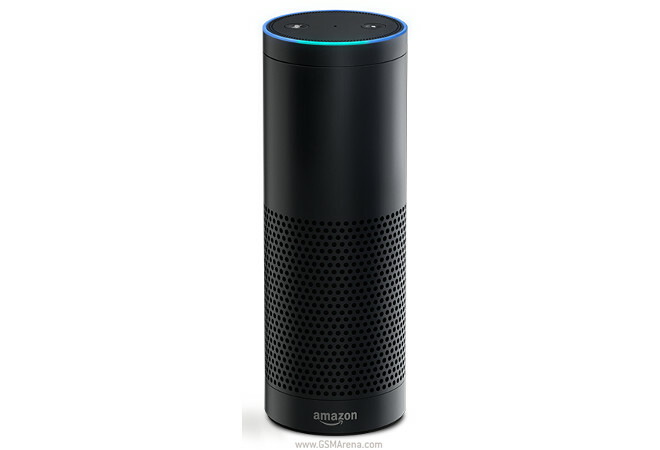 Its voice control works with Amazon Music, Prime Music, iHeartRadio, and TuneIn. And an Echo app for Android will let you manage the speaker when you’re not at home.